Pack 39 had a "Bike Rodeo" on Saturday, where the kids learned all about bike safety and earned their biking belt loop. On hand were the Police Department, the Fire Department, Trail's End Bike Shop, and several other local businesses. 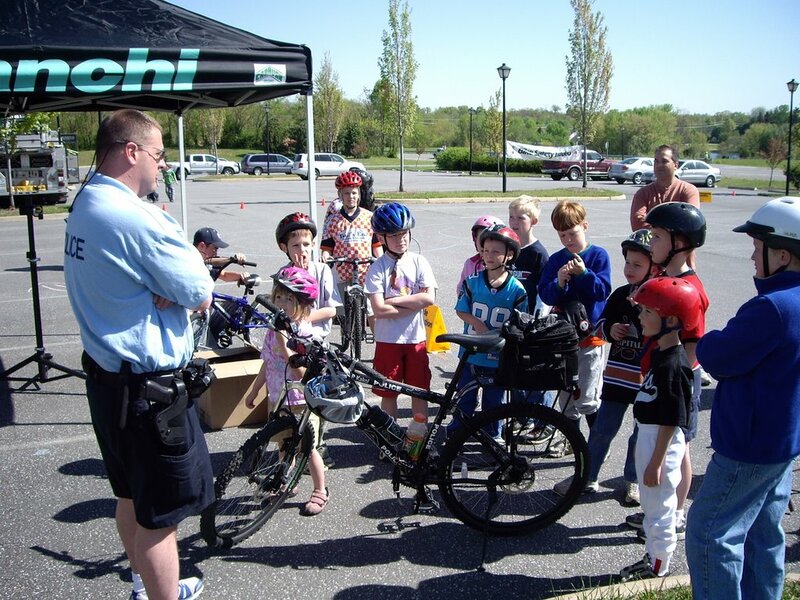 The kids received a briefing on bike safety, then had their bikes inspected, and then proceeded through an eight station obstacle course which tested skills in mounting/dismounting, weaving, braking, driving slow, etc. 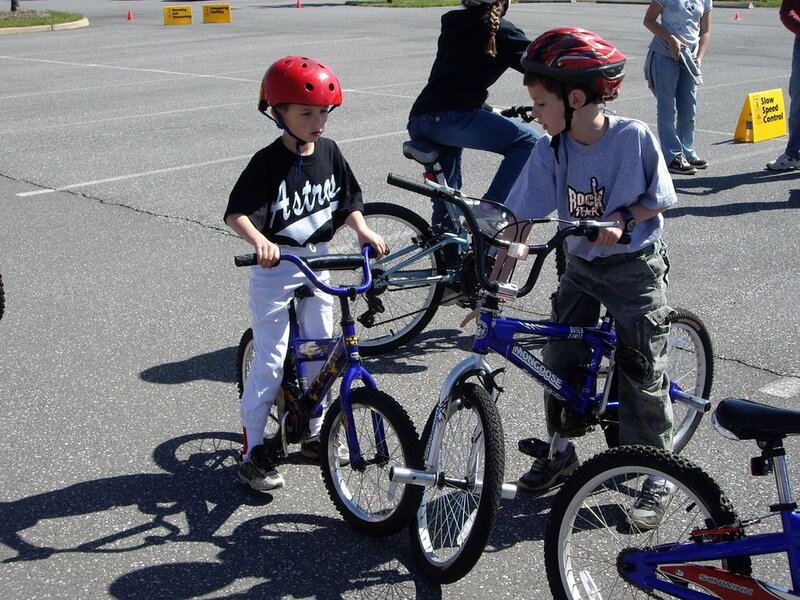 If the kids passed the obstacle course, they earned a genuine laminated bicycle license with their own picture on it. Luke and Eddie were so proud of their licenses, they dug out their wallets and stuffed the licenses into them. 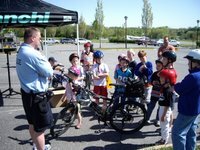 We then had to go on a five mile bike ride down the W&OD trail so they could "test out" their skills!